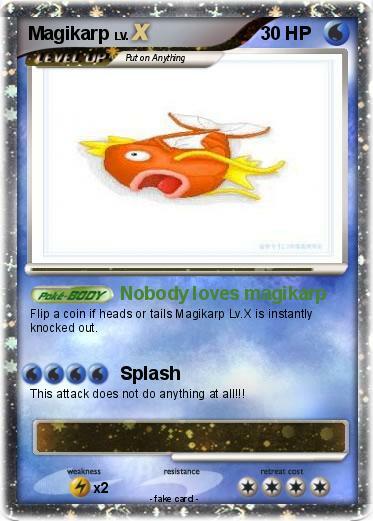 Flip a coin if heads or tails Magikarp Lv.X is instantly knocked out. This attack does not do anything at all!! !